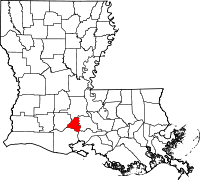 Lafourche Parish was founded in 1807, making it one of the oldest parishes in Louisiana. It is located on the Gulf of Mexico and is not far from the major metropolitan area of New Orleans. Vital records for the parish are kept at the Clerk of Courts office in Thibodaux, which is also the parish seat. The Clerk of Courts has three branches, the main one located in Thibodaux, which is where all of the recording processing is located, and two others located in the towns of Lockport and Galliano. The main office is located at 303 West Third Street, and the direct number to the recording office is (985) 447-4841. They also use a public records search system online which costs $50 per month, and has a large number of records available to view, such as marriage records from 01/01/1925 to the present, and many others, all with various dates of availability.